THIS VINTAGE TEXTBOOK, ELEMENTS OF GENERAL SCIENCE, IS NOW A HUNDRED YEARS OLD AND GIVES AN INTERESTING VIEW OF EARLY 20TH CENTURY SCIENCE. IT WAS WRITTEN BY OTIS CALDWELL AND WILLIAM EIKENBERRY. 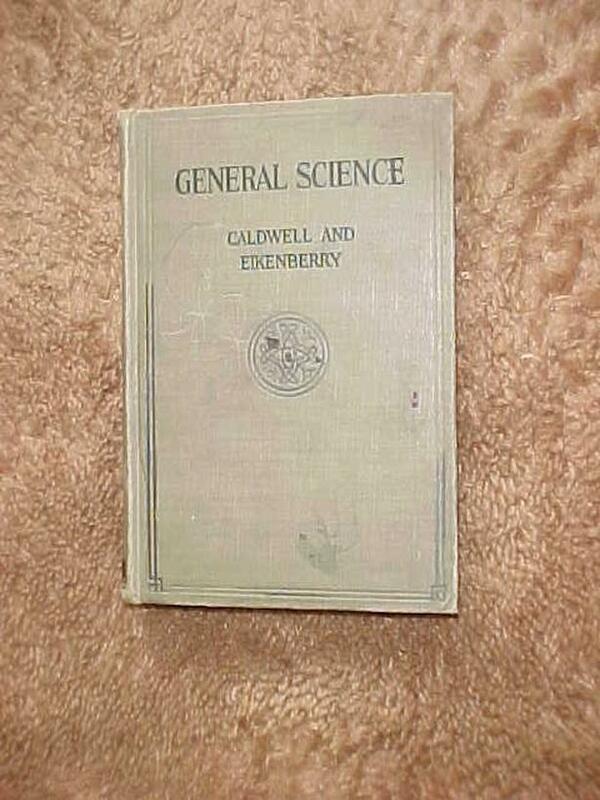 THIS REVISED EDITION WAS PUBLISHED IN 1918 BY GINN AND COMPANY. THE BOOK IS 404 PAGES IN LENGTH. THE BOOK SHOWS SIGNS OF USE AND HAS SOME WRITING ON THE INSIDE BUT THE BINDING IS STILL INTACT. CONSIDERING ITS AGE AND USE IT IS IN REMARKABLY GOOD CONDITION.